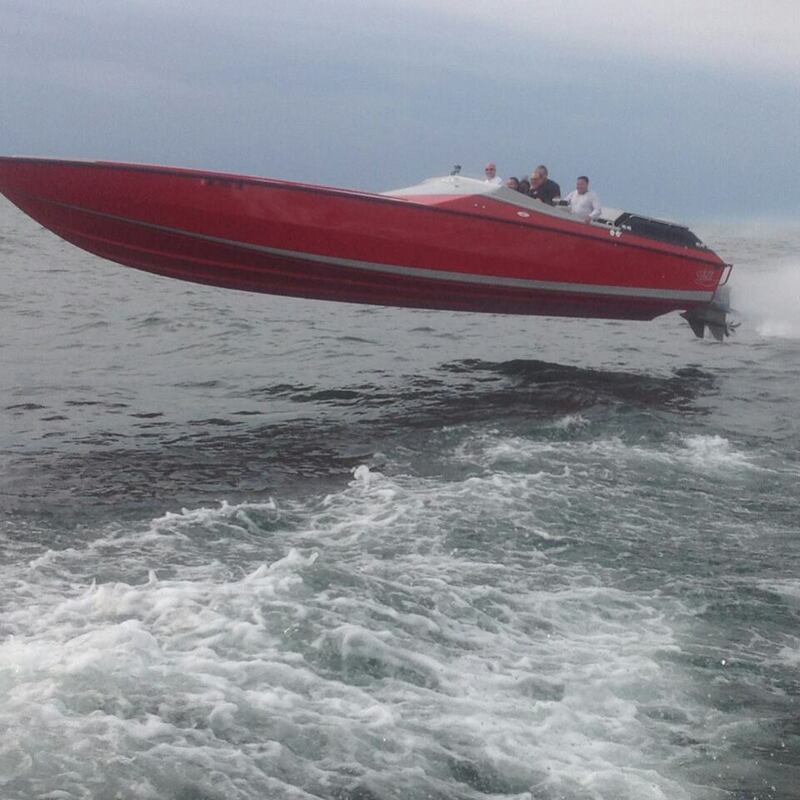 I boat out of Grand Haven and like to do runs to anywhere from Muskegon, Port Sheldon, Holland, Saugatuck, South Haven and all the way to Milwaukee. I enjoy spending the night in Saugatuck and South Haven and hopefully can make another run to Milwaukee for a couple of days. I've trailered it to Traverse City and have had a blast on the bay there. I've also run in the Boyne Thunder poker run in 2013. I'm wanting to trailer to Mackinaw city and cruise over to the island for a couple of days this summer. The fastest I've had Clifford is 103.4 mph in about 2-3ft chop. I'm hoping for 105mph if the conditions are right. This boat loves chop and won't go fast if there isn't any. I'm hoping to finish adding some LED lighting to the cockpit, cuddy and engine compartment this season to brighten things up a bit and a little improvement to the sound system is in the works too. Saber bought Apache's 41' hull design and added their special touches to it to make it an even stronger hull design which is definitely noticed during severe wave thrashing.